You are currently using the remote to connect to another device, would you like to disconnect the remote and watch videos here? Login to start using this feature. Login to see your history of watched videos. Login to see videos you've liked. 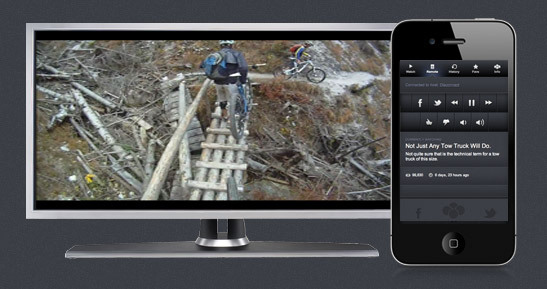 Login to rate and share videos, view your history, or use the remote. CrowdTube.tv finds all the viral videos that people are sharing across the internet, then figures out the best order to present them to you in an endless tv-like experience. CrowdTube.tv was created by Cory Shaw and Derrick Petzold because we wanted to watch the best videos of the web as a no-hassle lean-back experience. We got tired of having to constantly get up and click on the next short video clip when we just want to relax. 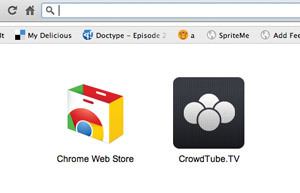 CrowdTube.tv works like a tv-show: you turn it on, relax, and watch. We'll keep track of the videos you watch, so you wont see the same video twice. Control the videos playing on your computer/tv with your phone! Your phone will even update with the details of the currently playing video. Have feedback, ideas, or just want to reach out? Fill out the form below and we'll get back to you. You sneaky little devil. You need to be logged in to change your password. Log in here.